Check out our list of household supplies for dollar store. We carry different kinds of everyday household dollar store products. Let your customers keep their home running without any shortage, provide them household supplies at affordable price. We carry different kinds of household items including foam plates, paper plates, barbecue gears, trash bags, sandwich bags and many similar items. 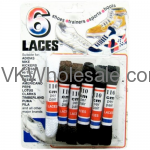 Minimum quantity for "6 Pairs - Shoe Laces Assorted Colors" is 12. 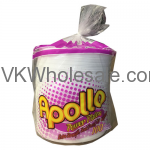 Minimum quantity for "Apollo 9" Foam Plate 100 CT / 6 PK" is 1. 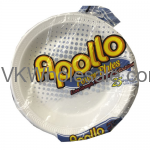 Minimum quantity for "Apollo 9" Foam Plate 25ct/24 PK" is 1. 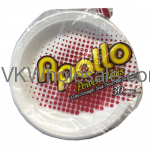 Minimum quantity for "Apollo 9" Foam Plate 30ct /24 PK" is 1. 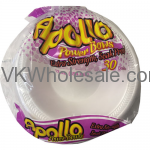 Minimum quantity for "Apollo 9" Foam Plate 50 CT / 12 PK" is 1. Minimum quantity for "Good TIme 12oz Foam Bowl 20ct /36 PK" is 1.